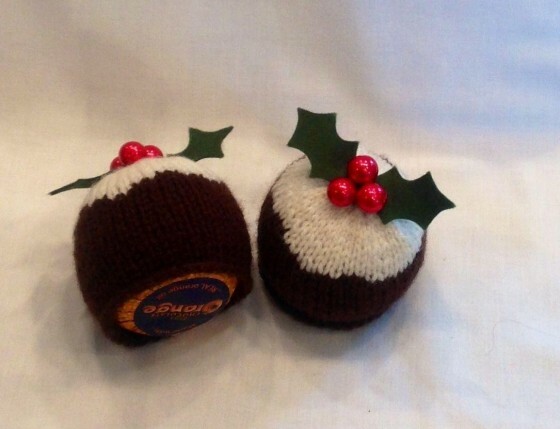 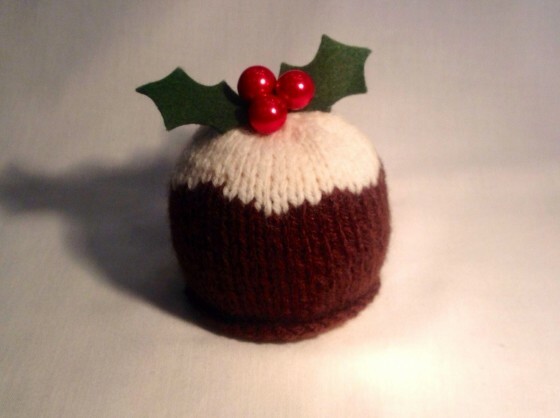 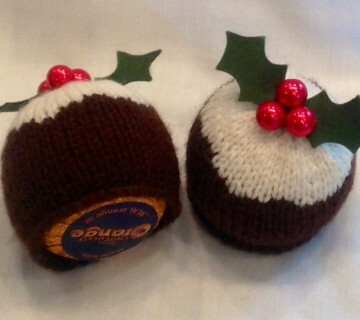 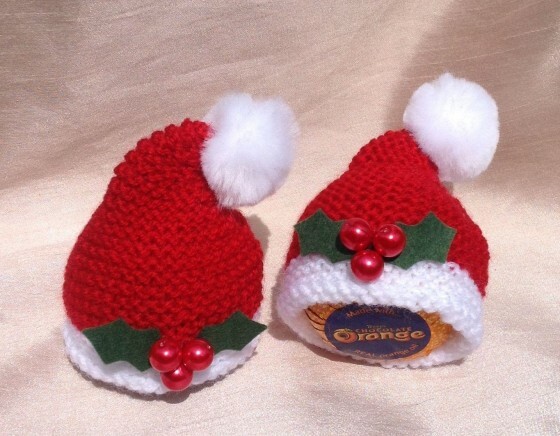 One Santa hat and one Christmas pudding Terry's Chocolate Orange cover set. 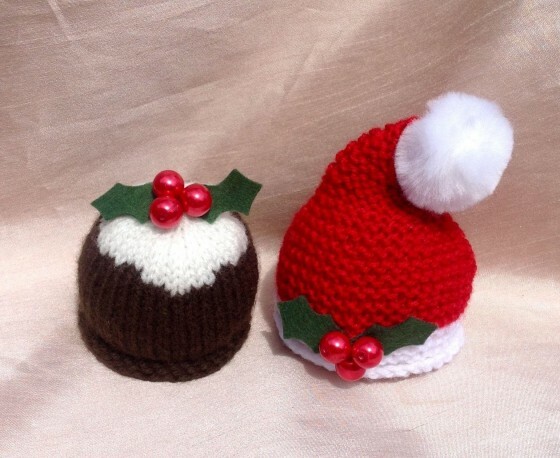 Ideal duo for table favors or small Christmas gifts. 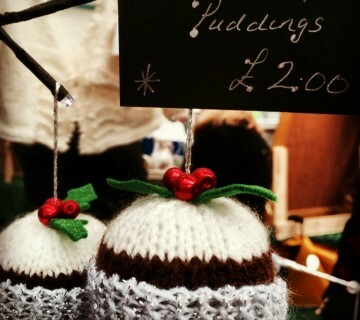 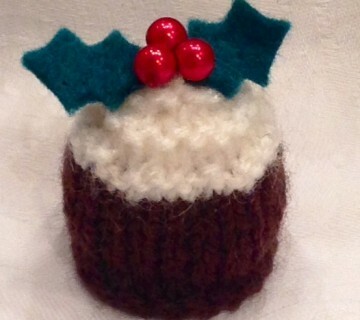 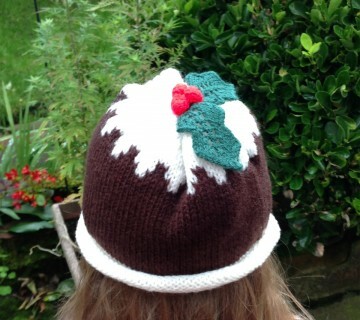 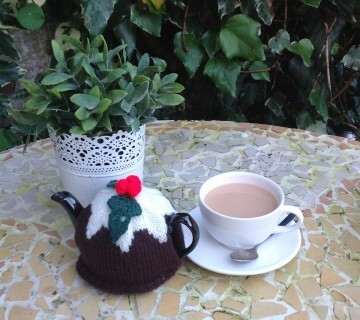 Hand knitted with acrylic red, cream, dark brown and white DK wool. 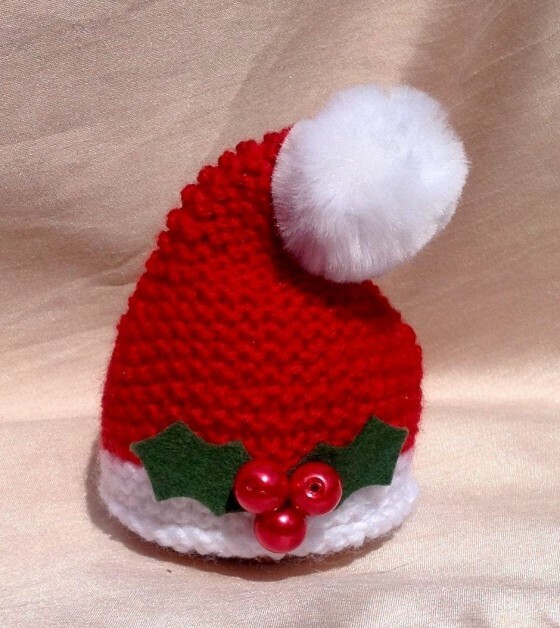 Embellished with red glass pearl beads, green felt holly leaves and a fluffy white chenille pom pom. 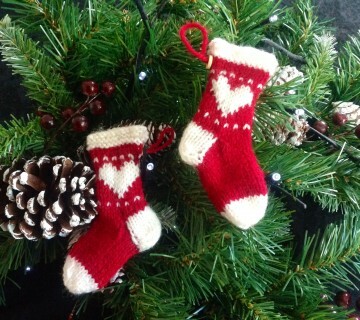 All hand sewn with no glue.